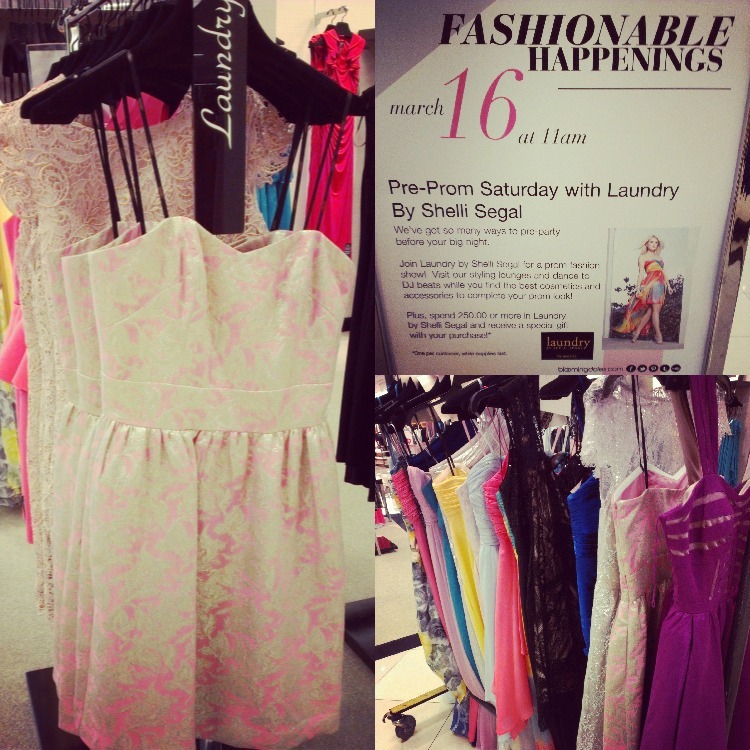 Last weekend, I hosted the Bloomingdale's Pre-Prom fashion show at Fashion Island which featured brands like Laundry by Shelli Segal. Watching the local high school girls walk shyly yet giddily down the runway in their fabulous gowns took me down memory lane. These girls were undoubtedly excited to be attending their own proms in their sleek and glamorous dresses in just a few weeks. Oh the thrill of getting ready with your friends. The nervous anticipation of the night to come. The awkward photo poses. The fierceness on the dance floor. For my senior prom, I was determined to wear the puffiest gown known to promkind, one big enough to cover all of Arcadia. No store could accommodate my puffy request so I had one custom made. 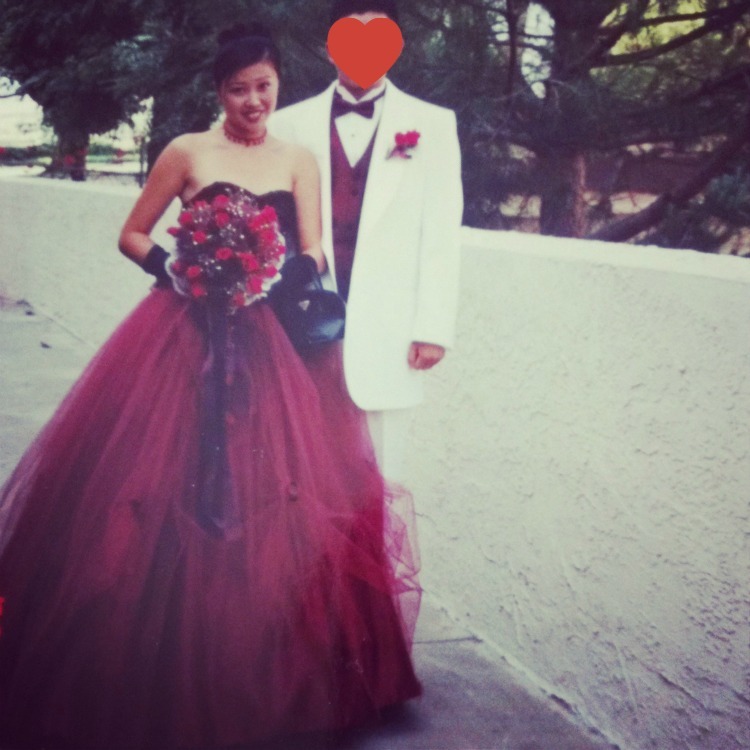 My strapless princess cut bodice maroon gown was one of a kind. At every fitting, I asked for more puff. By the time the dress was finished, dense layers of tulle covered a hula hoop size petticoat. I was ready for prom! And I had a ball! Never mind the fact nobody sat next to me at dinner because my dress took up three seats. And okay, I toppled over five times while trying to get out of the limo causing a bit of in-limo traffic congestion. And now that I think about it, I didn't actually dance with my date because the dress's large base circumference walled me in. Basically, my dress was my prom date. But I loved every minute of prom because I was wearing exactly what I wanted to wear. 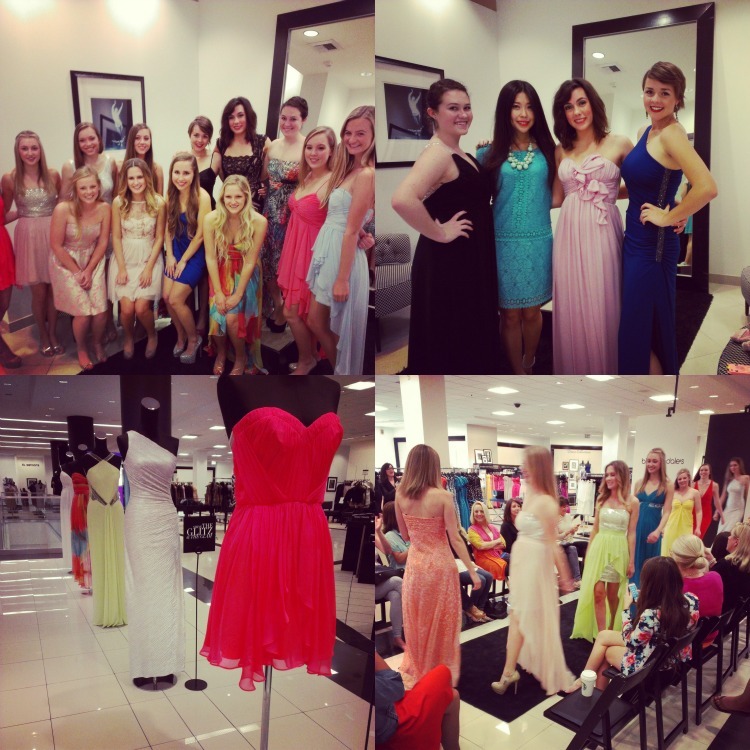 Thank you Bloomingdale's for jolting my prom memories! And Laundry, if you ever need design ideas, let me know and I can dust off and take out my tulled gown out of storage. There might be a few four-legged things housed underneath the dress but we'll take care of it. This is great! I like your article! I was the same way at my prom! I absolutely had to wear a big, puffy, prom dress. I ended up getting an Alfred Angelo one from a wedding store because nothing else seemed to satisfy me! 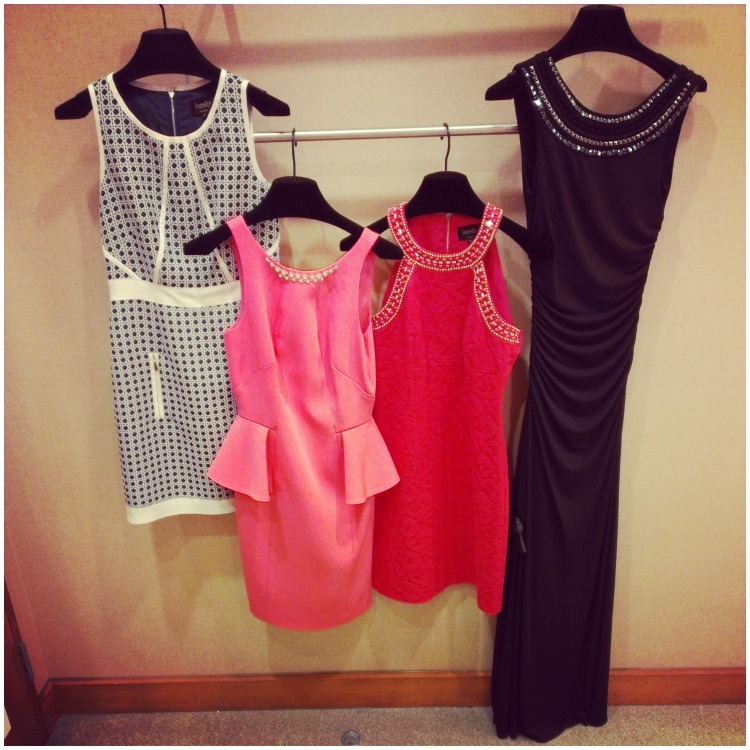 These dresses by Shelli are beautiful! Wow I love that old photo of you in that dress - I love the little anecdote too. So adorable! Perfect description of prom! Oh the things we loved in high school - for better and worse! What a fun collaboration!!! Isn't it funny how styles change?! I'm loving your ballgown flashback. This is a very beautiful and so much Gorgeous Pre - Prom fashion I seen ever. Thanks to Owner of this Site to share it. Very Nice Post. I hope I see another beautiful post next time. Thank you.